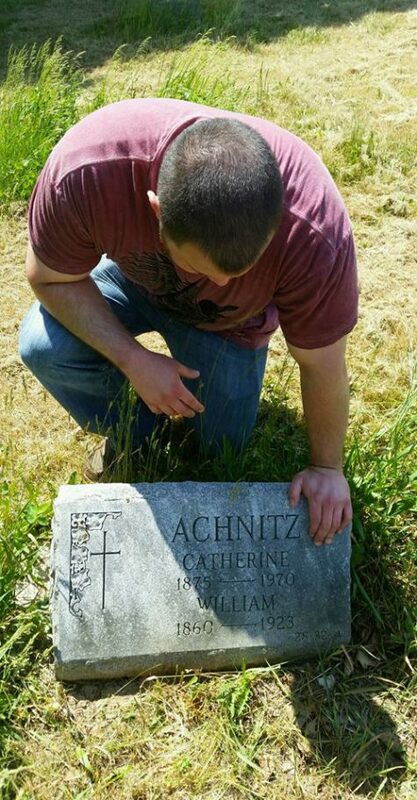 My name is William Achnitz III. On April 2, 2016, I turned 27 years old. For the last 5 years, I have been obsessed with researching my family tree. So, for my 27th birthday, I decided to do something that I had been thinking of doing for awhile – a genealogy trip. Genealogy trips had been something that I came across quite frequently while browsing the works of other genealogists. In a nutshell, they are trips to libraries, archives, cemeteries, or the homelands of our ancestors. You go there in an attempt to hopefully uncover a little bit more about an ancestor than you had previously known before. In other words, it is doing more than just sitting behind a computer screen browsing Ancestry.com. If you’ve seen the show Who Do You Think You Are, it’s basically that. Not the typical way to spend a birthday, but for a genealogy buff like myself, it made me happy. As many genealogists probably know, scheduling a genealogy trip can prove to be very difficult at times. It’s very rare that there is a cemetery right down the block from where you live that just so happens to be the final resting place of all of your ancestors. If you do happen to be blessed with this kind of situation, I would urge you to not waste the opportunity to pay your respects and visit them. After all, you are their legacy and I’m sure that paying them a visit, regardless of whether or not they know you are actually there, would make them happy either way. For me, I kind of have this luxury. I live on Long Island and most of my ancestors lived in New York City. Many of them also died in New York City. In fact, all of my ancestors on my father’s side came to New York City from Germany, Ireland, and Spain. Some lived the entirety of their lives in New York City and some migrated eastward onto Long Island. My mother’s side, biologically speaking, is presently unknown. She was, however, adopted by my grandparents and they stem from immigrants who came to New York City from Italy. So, what do I mean when I say I kind of have this luxury? Well, I am on Long Island, which happens to neighbor New York City. However, venturing into the City can be an incredibly tedious process, especially if you want to hit multiple locations in one day. That is exactly what I wanted to do for my birthday. I wanted to wake up early, get on the road, and hit as many cemeteries as possible. I figured that in one full day, I could fit in 3 cemeteries visiting the grave sites of over 30 ancestors that included both mine and my fiancée’s. Quite a productive day for my very first genealogy trip, I thought. Until I got a flat tire. I was so mad! In my mind, my birthday had been ruined. My flat tire notification popped up while I was driving to another cemetery on the expressway. Everyone was beeping at me. I barely made it to a gas station, which of course had to have one of the tightest parking lots that I had ever been in. I had to call AAA and it took them over 20 minutes to take my call. I had to wait almost an hour after that for them to finally arrive. I then had to bring my car into the shop to get the tire replaced. I drove to the nearest dealership that I could find. Turns out they didn’t have my model tire in stock. I called up my dealership. They didn’t have my tire in stock either. How could the dealership that sold me my car NOT have the tire that is on my car? Luckily, there was another dealership that was somewhat close to where I was, which did have the right tire in stock. After another hour or two, a brand new tire was finally installed and everything was fine. But by then, my whole day had been wasted. I literally felt just as deflated as my tire. Then, I remembered all of the progress that I had made despite the flat tire fiasco. I had crossed one cemetery off my list of places to visit. I had visited 5 grave sites and paid my respects to over a dozen ancestors. I even uncovered a couple of new ancestors that I was completely unaware of. I had also discovered that some of my ancestors never got their name inscribed on their headstone. This too had been deflating. In my family tree, it appeared as if there was this passing of the buck – a “you got this?, yeah don’t worry, I got this” kind of exchange between family members – whereby the final task of inscription just never happened and eventually just got forgotten about. For me, finding those that lived decades and centuries before me is an incredible experience. If you think about it, our entire existence is dependent on what our ancestors did before us. We owe everything to our ancestors for playing a role in the lives that we live today. I’ve also learned a lot about myself by learning about the lives of my forefathers. There’s a certain connection you get when you can draw parallels between your life and the lives that they lived before us. And that connection for me is evermore prevalent when I am standing on the very ground where they are buried. To know that they are there but yet not see a name just feels so wrong to me. I want them to be remembered. I want the many generations that come after me to remember them. I don’t ever want them to be forgotten. That is why I promised all of them that I would make sure that they are never forgotten. That’s what Flat Tire Genealogy is all about. 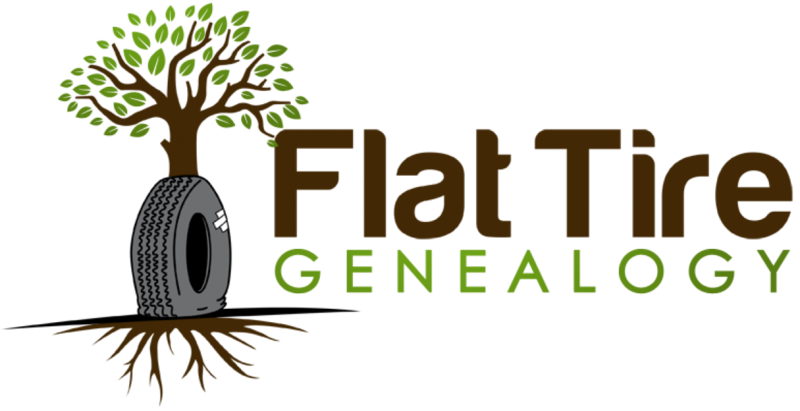 Despite getting a flat tire and not accomplishing everything that I wanted to do on my first genealogy trip, I came up with this concept – a concept where I will document everything related to my family tree and hopefully others too. By writing and publishing information about my ancestors, I hope to preserve their memory forever that way they will never be forgotten. Because at the end of the day, headstones will only last so long. This information could last forever. Remember. Your ancestors are always there. They will always be with you. It’s up to you to find them.